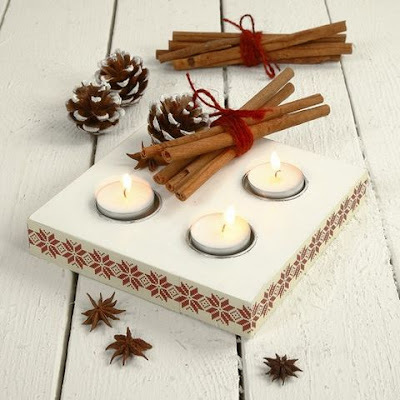 The candle holder is painted with craft paint. 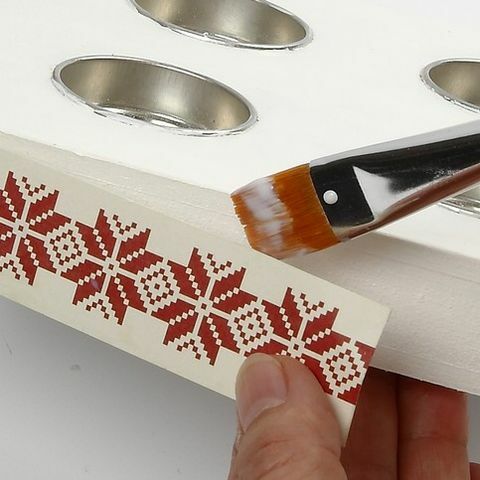 The decorative border is cut from a sheet of design paper and glued along the edge with decoupage lacquer. 1. 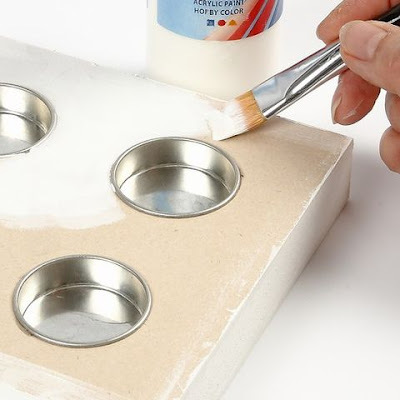 Paint the candle holder with off white craft paint. 2. 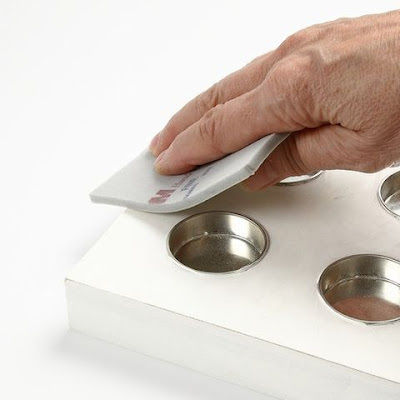 Lightly sand the candle holder and you may apply another coat of paint. 3. 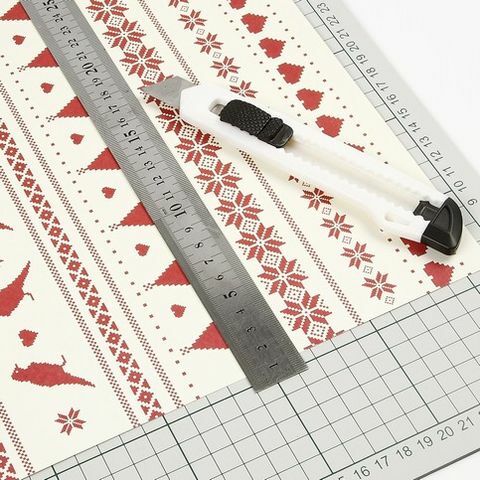 Cut out a decorative patterned strip of design paper. 4. Glue the strips along the edges of the candle holder using decoupage lacquer. 5. 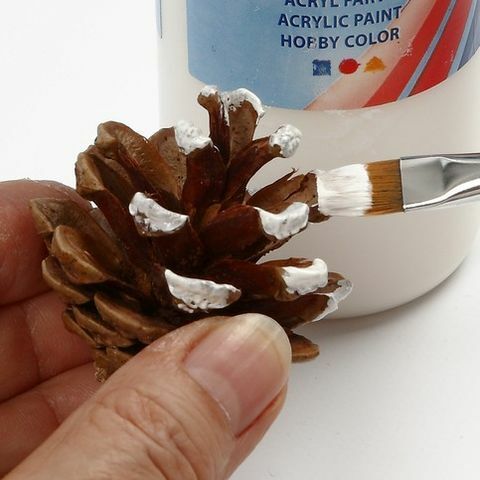 Paint the tips of the pine cones to be used for decoration.